For many people, the training part of living a healthy lifestyle is the fun part. Food preparation is often times where clients get hung up. It doesn’t have to be that way. 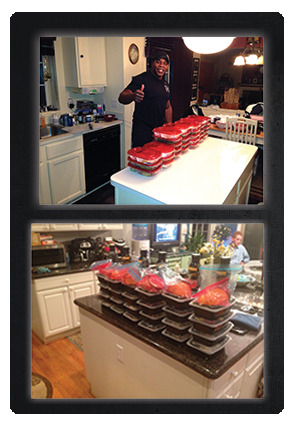 We find it most efficient to devote a block of time on Sundays to prep meals for the week. Eating healthy starts with a nutritious and well stocked pantry. This seemingly simple task can be overwhelming for many people starting a healthy eating journey. Some common reasons for avoiding the grocery store trips include label reading confusion, fear of trying new foods and lack of time to cook the ingredients. Life is busy, but that doesn’t mean a solid nutritional program has to suffer. CoreFit Fitness offers two programs for taking the struggle out of food prep and getting your week off to a strong start. CoreFit Fitness is dedicated to overcoming the challenges of an unhealthy eating lifestyle. Our goal is to educate, inspire, and motivate people to live healthier lives! 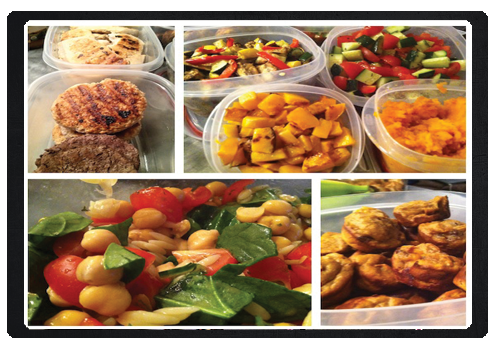 Another program designed to help take the stress off our clients is a program that will not only give sound nutritional advice but also will help the client save time by preparing the food a week in advance.